A few of my usual empties again this month but actually not as many as the usual load I have! I am currently on holiday for the last week of the month so haven't had as much time to use up as much. Sorry most of my recent posts are beauty centred, I will be taking some outfit shots whilst on holiday so back to fashion once I'm home. 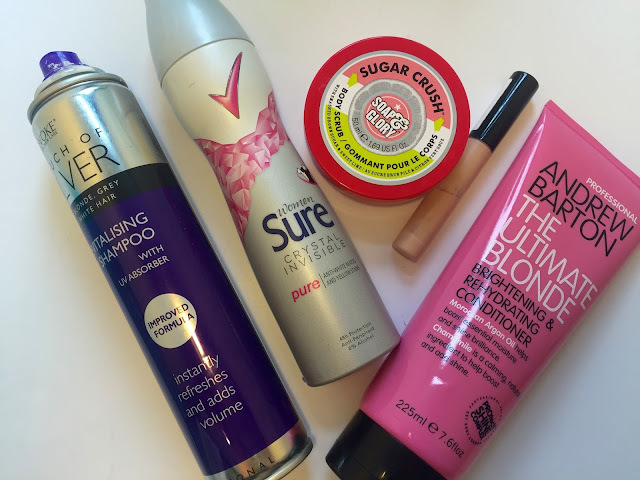 I love using all these products and I would defiantly re buy them all (most I already have) I LOVE the Andrew Barton Ultimate blonde range but Im sure you already know this as I have raved about it so so much. I was slightly disappointed with the dry shampoo as the spray actually stopped working and there is product left in it but that may have just been from shoving in a drawer. 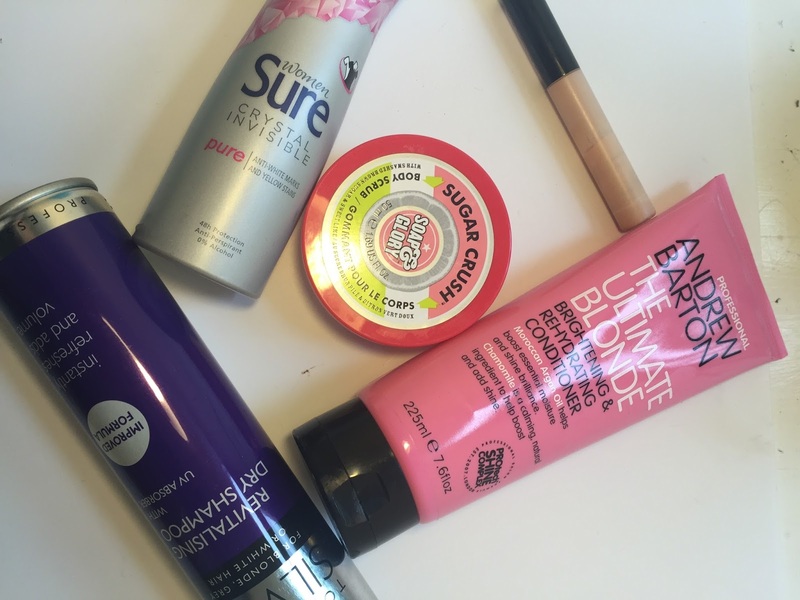 The product is still great so would give it another go.